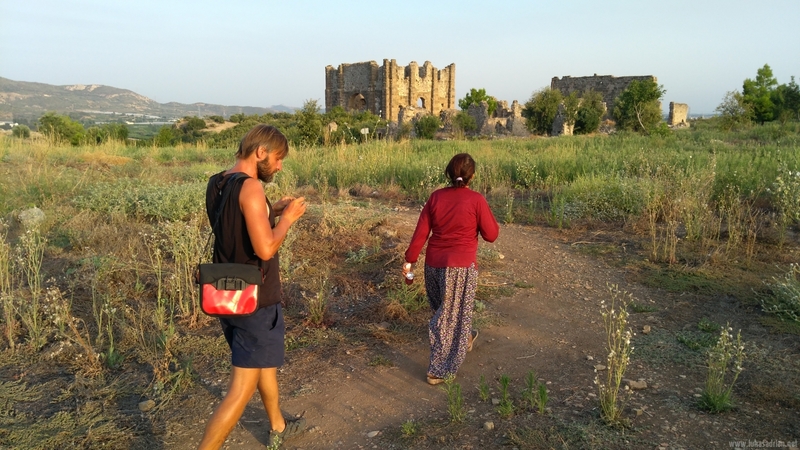 A woman who sold a few little things was so nice and quickly showed us all kinds of ruins. We only had 40 minutes before the park closed. But she almost ran and jumped up the stones, so it was quite difficult for us to keep up. By the way, she wasn’t the youngest anymore. She didn’t ask for money either, she was so nice. Yet I gave her something. 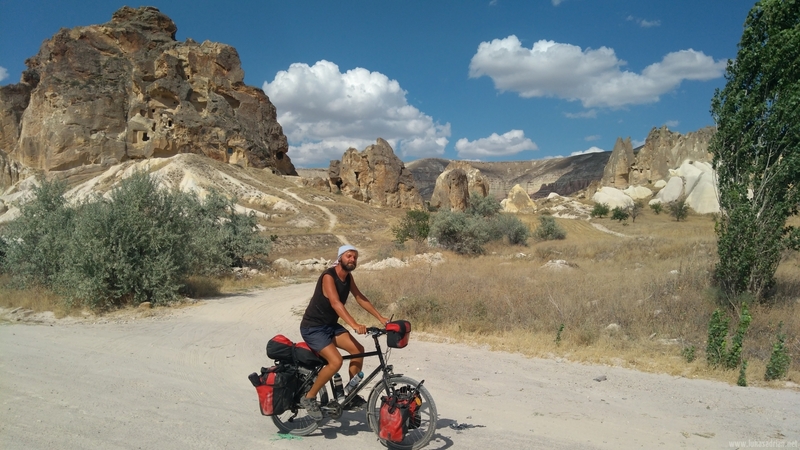 When we finally found our route inland, towards Capadocia, we made 20 km in the heat, before we settled at a small river. 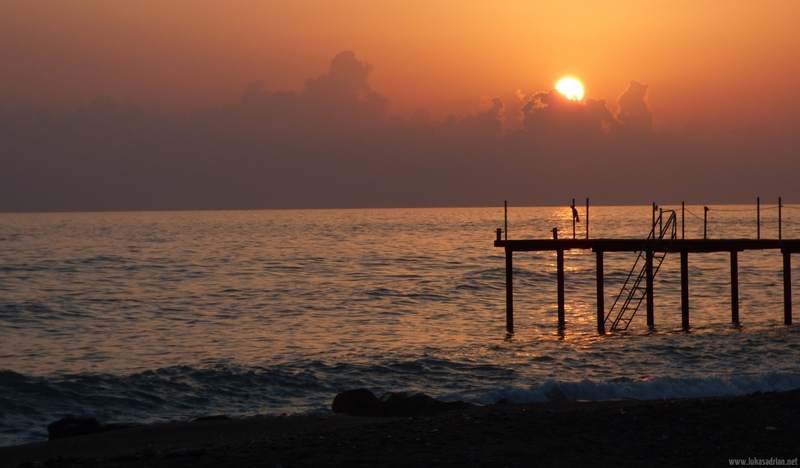 We decided to go back to the sea and drive along the coast to Mersin. So we could sleep on the beach and go swimming over and over again. 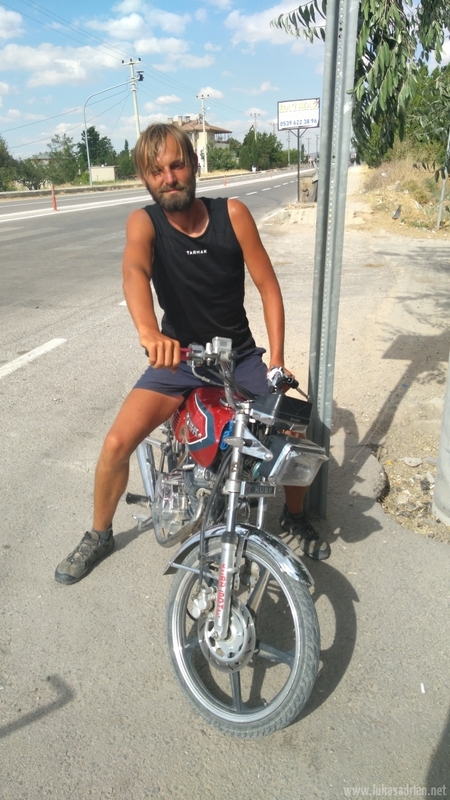 The road to Alanya is a hotel road, so many palaces, I thought it was only on TV. Population in Alanya 300 000, in summer 5 times. 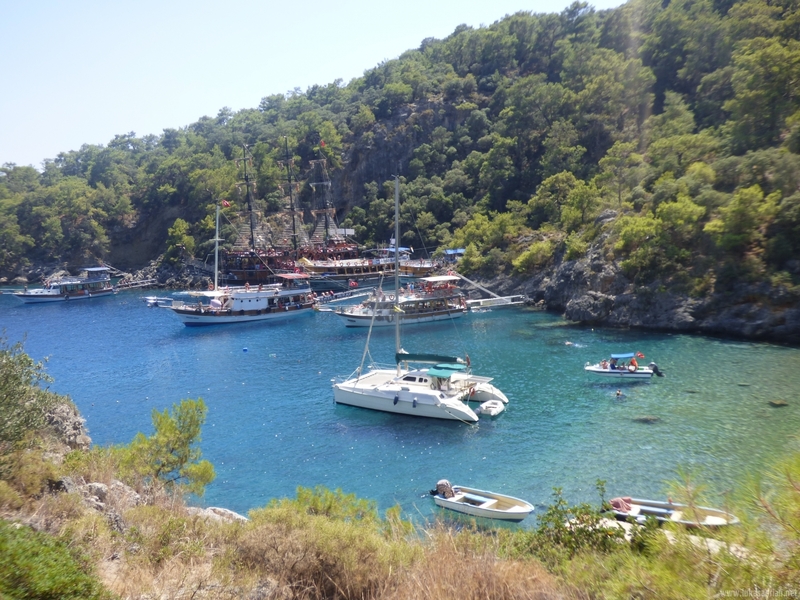 When we arrived at Ölüdeniz, nothing was going on. A dream beach! But 5 ships with loud music can ruin things. I remember the creative names like Black Pearl or Jack Sparrow, who always wanted something from people with JUMP or PUT YOUR HANDS UP IN THE AIR. At some point, fortunately, things became calmer as far as hotels and tourism were concerned. It also went up to 400 m three times, sometimes a bit off the beach. 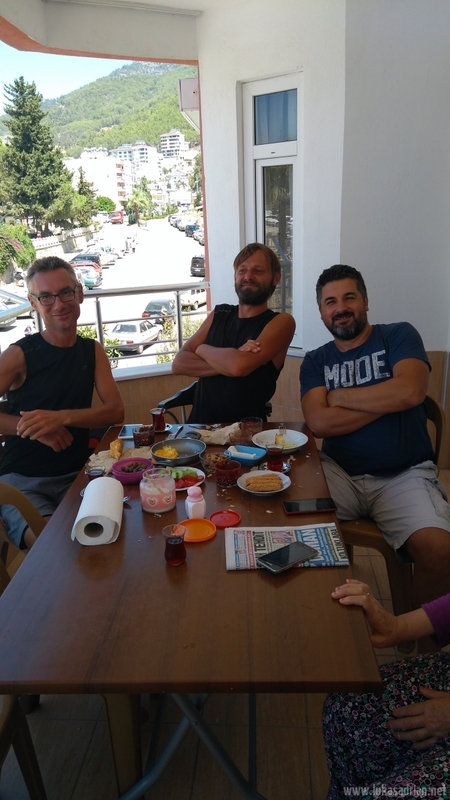 Arrived in Anamur, we wanted to buy our breakfast in the shop when we were picked up at the entrance by someone and invited to a Turkish breakfast. Hasan, a teacher who is on vacation with his family there with his stepmother. The great thing about it was also that the breakfast was homemade. 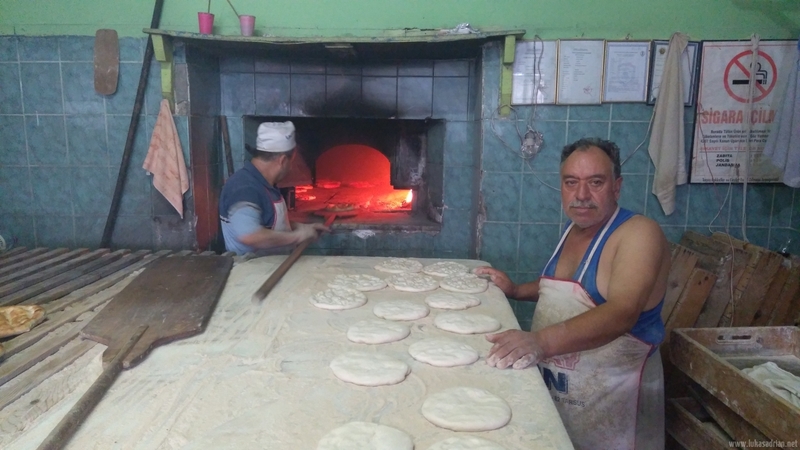 Even the bread was homemade, without yeast. Jam and honey also came from the family. It was so tasty… even weeks after, so today when I’m writing, I think about it. 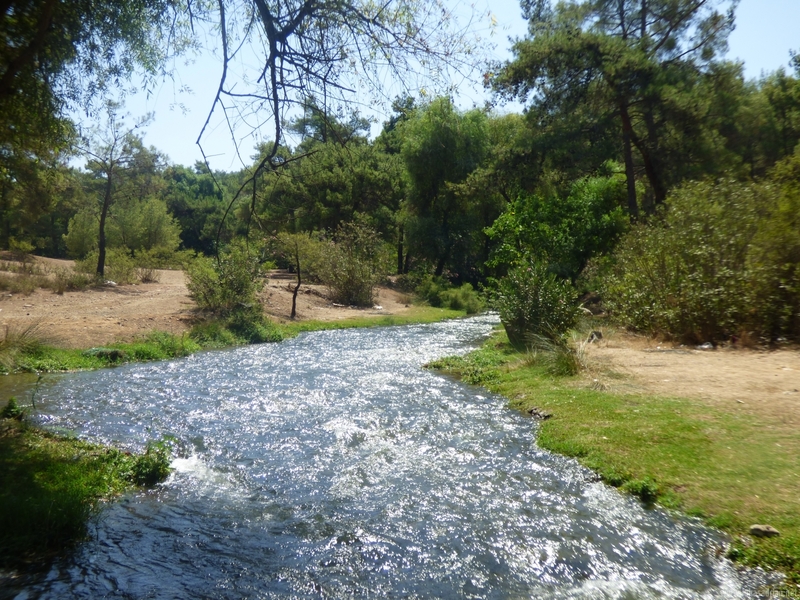 A river to wash that gave us a real cooling. It was so hot sometimes, I didn’t want to get out of the sea. The next day it went up again. Exhausted from the day before, I had a small low point upstairs. Knees and legs hurt, I was tired and listless. 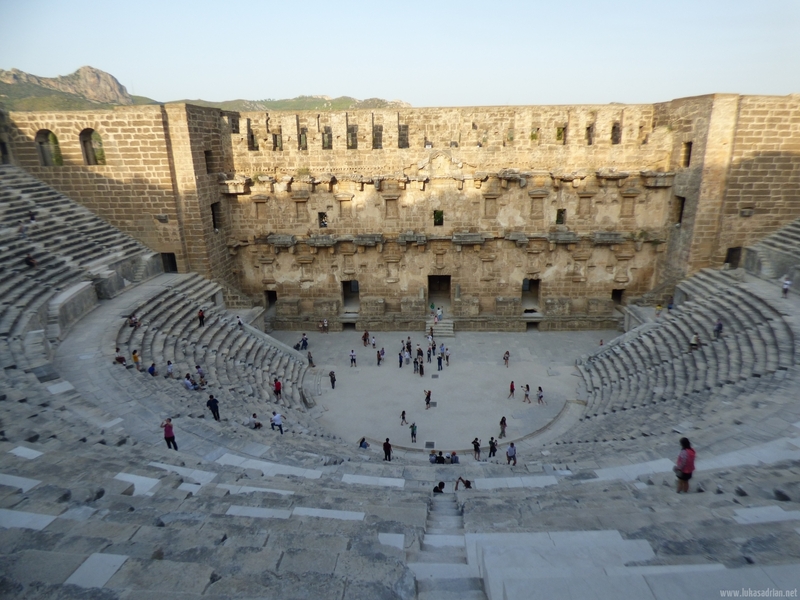 When we drove up about 100 m further to sit in the shade, a street vendor called us to him. 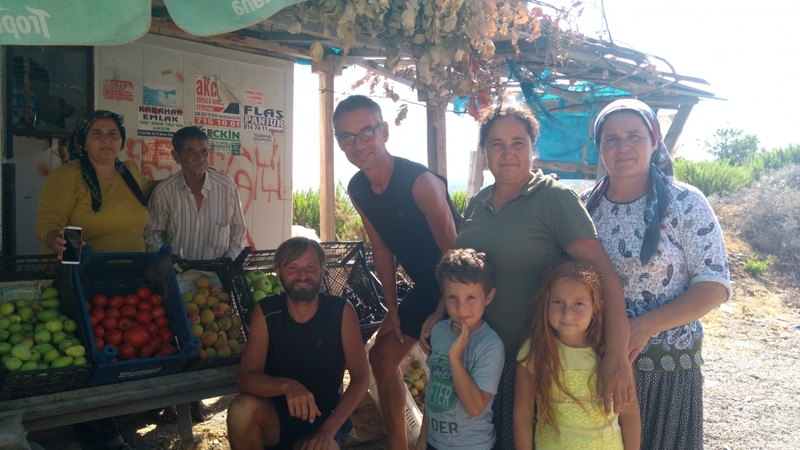 He and his family sold figs, apples and other fruit there. 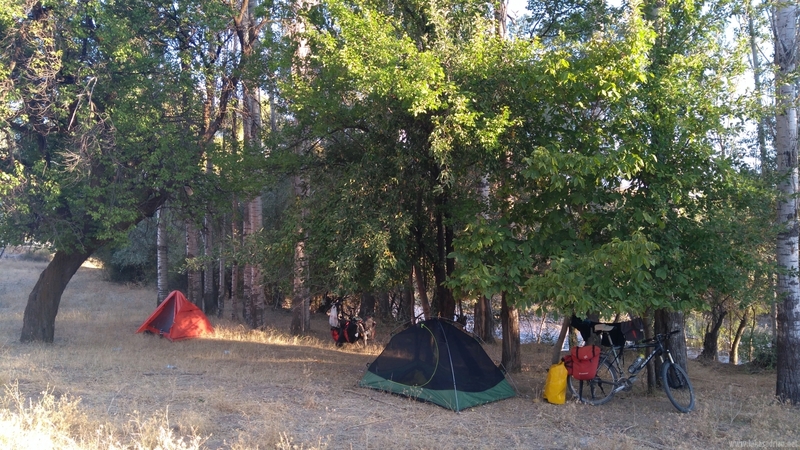 They said we should rest, gave us figs, tea, homemade Çiğ köfte and cold water. Everything was perfect! I don’t know how many times I have to thank you for everything. Sometimes these moments come at just the right time. You just have to be careful. I also noticed that there are more freedoms from around the Balkans than in Germany. Nobody complains when I camp at the lake, nobody complains when the car is not straight, I don’t need a law book to know what I can and can’t do. I can see from this how limited people are in Germany. Here 14-year-olds ride around on scooters without helmets, taking on responsibility very early on. A boy, only 12 years old, takes care of the money at a sales stall. Sometimes he sits in the store at the till. If less was prescribed, it would certainly be better for many. Well, it’s a subject of its own, much to my detention. 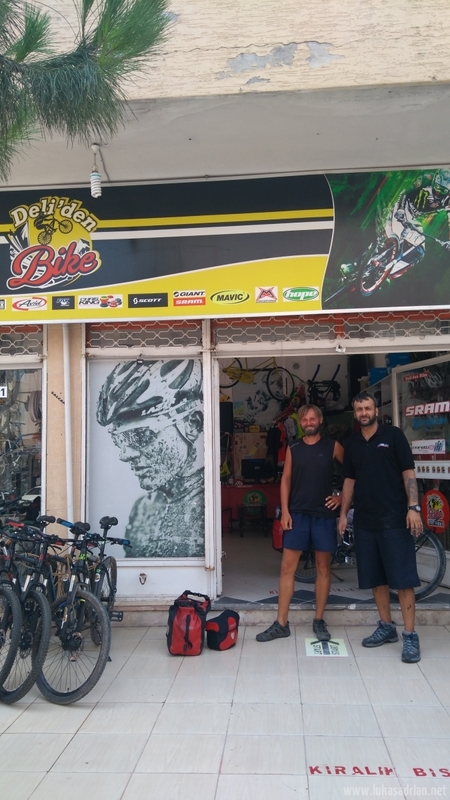 In Mersin I wanted to go to a bicycle shop to change my cable on the hub dynamo. Shortly before that I also had a flat tire in front. I just got to the store. Unfortunately, my dynamo suddenly worked, so we couldn’t find any errors. The “madman” (Deli’den Bike) repaired my plate and cleaned the plugs, everything as a present. Super nice people here. Unfortunately my dynamo problem came back some km further. 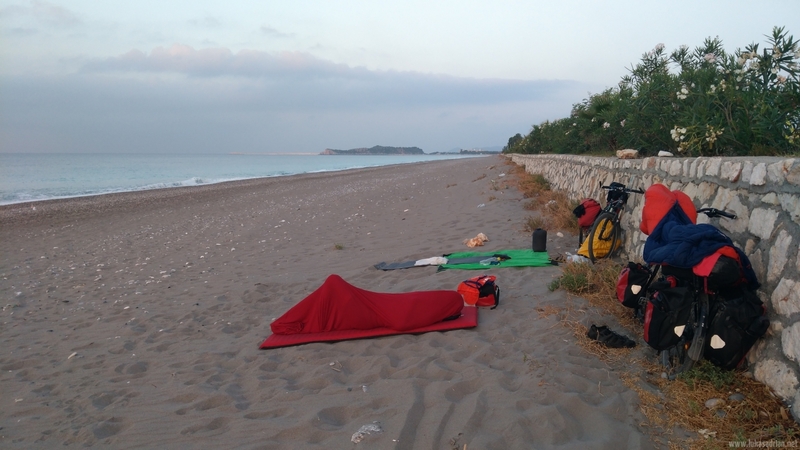 Behind Mersin we headed inland, up to 1200 m. After about 1/3 of the ascent we found a place to sleep on a field. 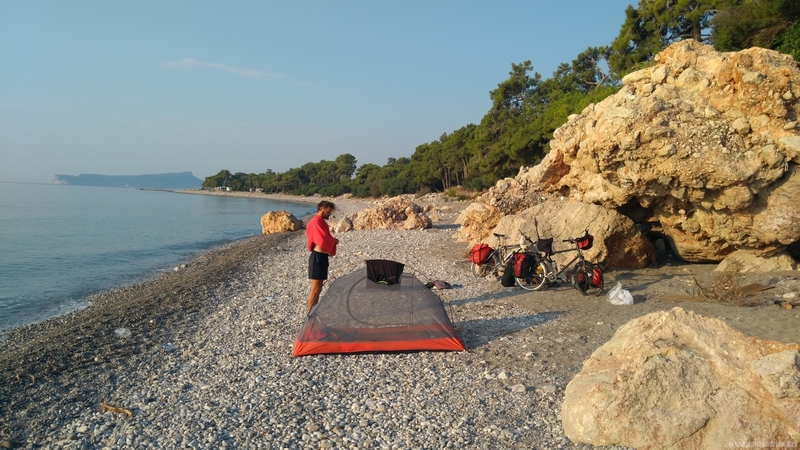 About 2 hours later a tractor arrived and the driver said: don’t camp here, we should follow him. We thought we were in trouble. 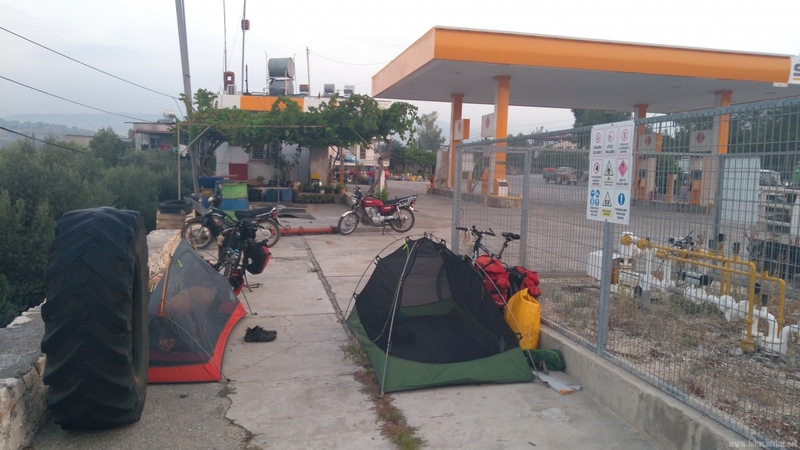 He took us to a gas station and told us to pitch the tents. Anyway, we just wanted to go to bed. Still, he asked if we were hungry. 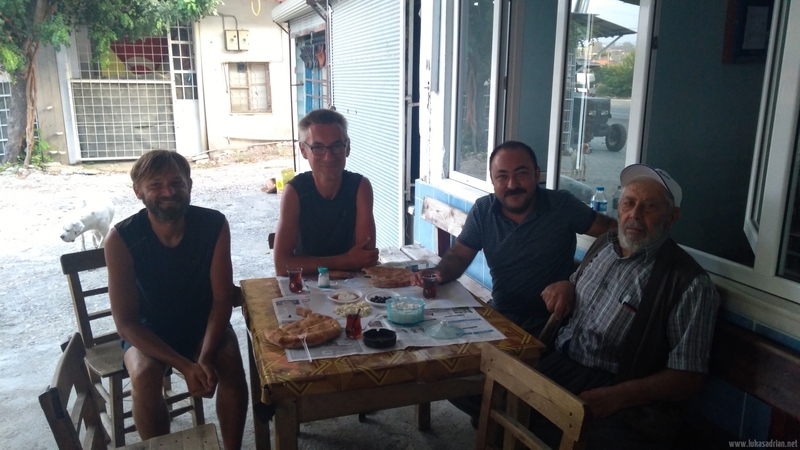 In the morning, after a bad night, as we were kept awake by trucks and barking dogs, someone invited us to Çay and breakfast with warm bread, honey, cheese and olives directly after getting up. 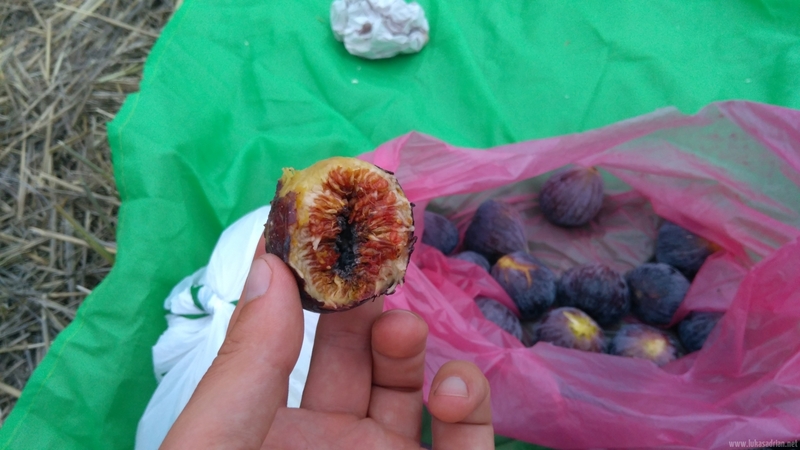 We still received figs and grapes. Happily we drove on. 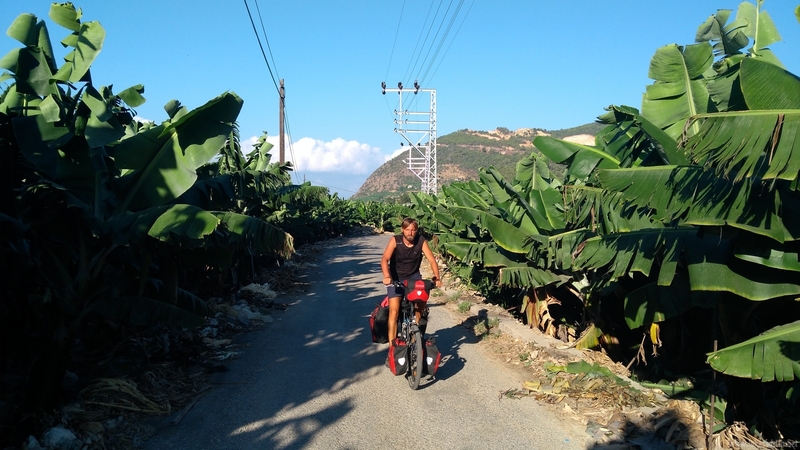 Shortly afterwards we got a few more figs from an older moped driver as a present, just like that. Our route did not lead along main roads, but along beautiful side roads. So many waved at us, many places looked as if time had stood still. I was very good at taking myself back in time. Many thoughts crossed my mind. So far the trip has been a gift, a gift that I fully enjoy. What would come, I’m only a little bit behind me. At 1545 m I reached my personal record. It was pleasantly high all the time. 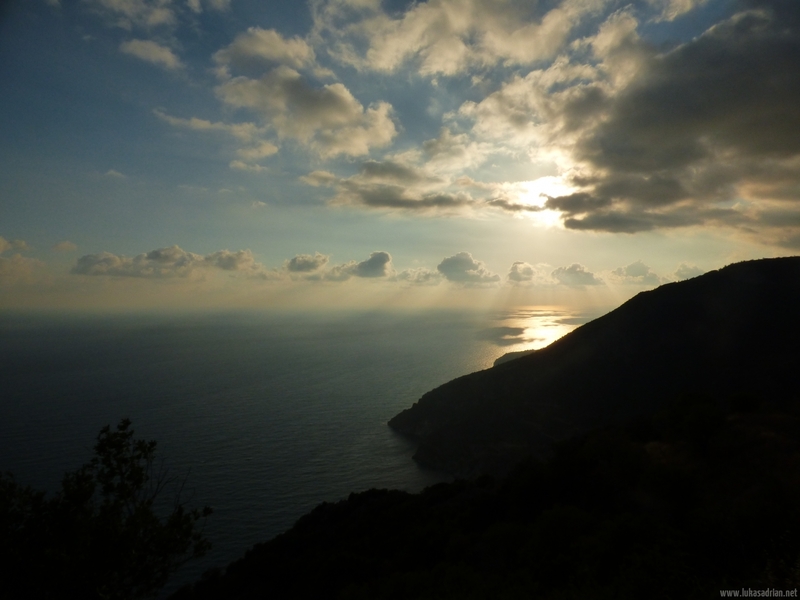 Everything was wonderful, these views, wow! There were many emotional moments for me. I was just happy inside. It’s a pity that I can’t record any more videos. I wanted to cut and show them all later. Unfortunately my actioncam is broken and my camera is sometimes too bulky. 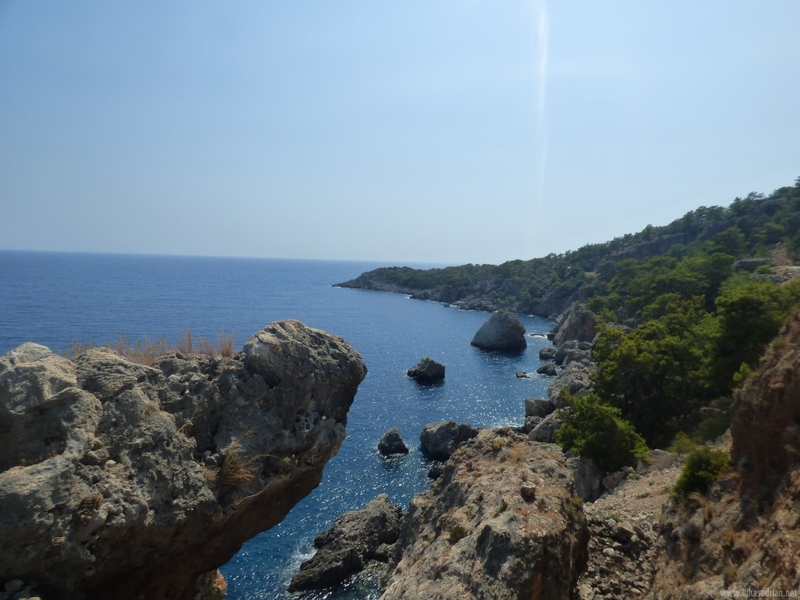 There are such beautiful views and descents here, it is difficult to concentrate on the track. 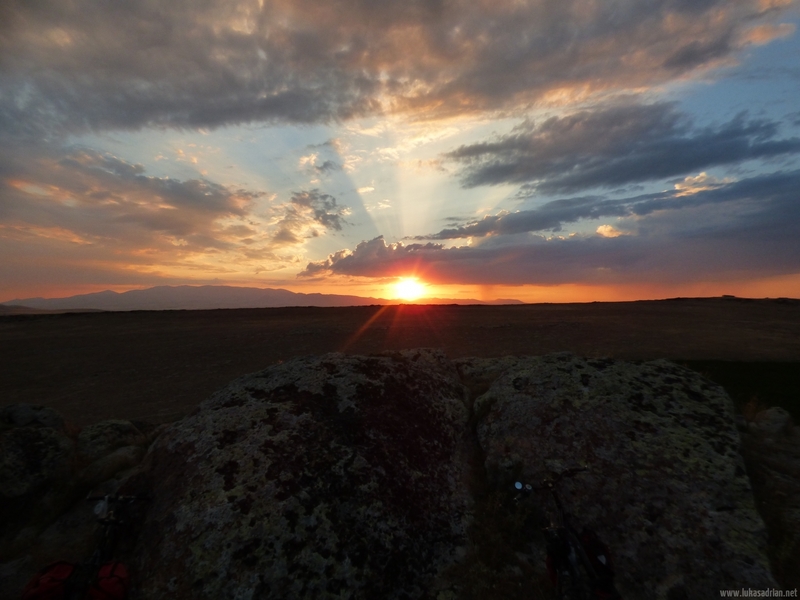 When we were camping on a rock, I think I saw one of the most beautiful sunsets ever. Again and again a scoop of something great is put on top of it. Even now I almost get goose bumps when I’m writing. Shortly before Capadocia, as we passed a road control (for safety reasons you won’t find them here now and then, even if they are armed. They like to wave and smile at you), an older man called us. He poured the inspectors fresh Ayran and of course us. That was so good! 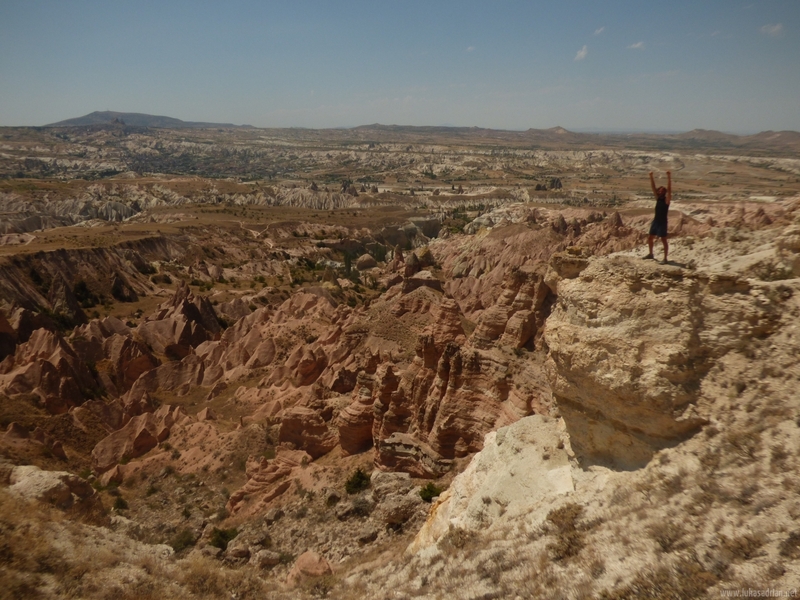 Capadocia! A must for every traveler. 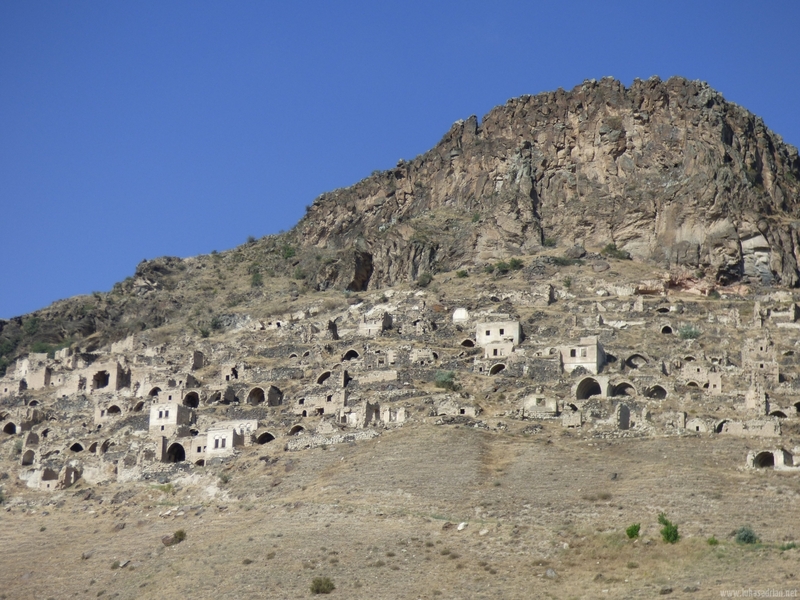 The whole environment is provided with little houses in the rock, some of which are still inhabited today. 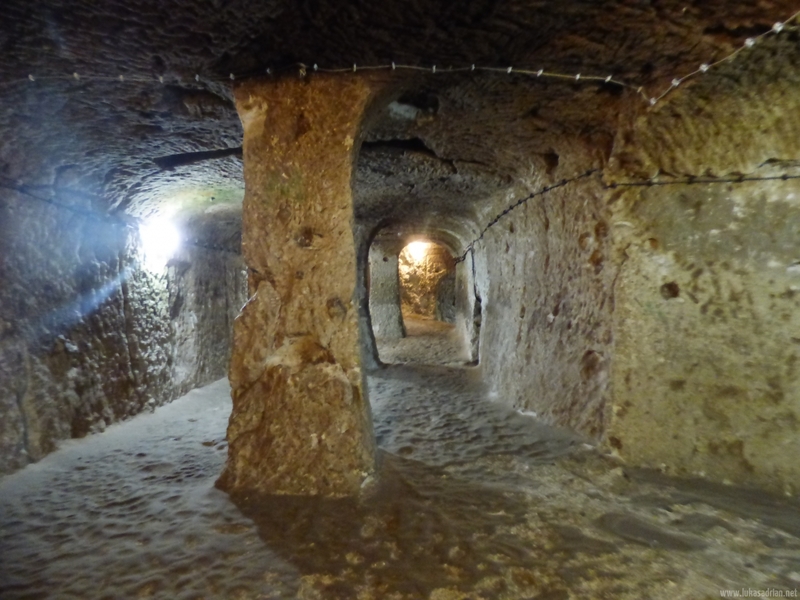 In Nevşehir you can even find a very large interterranean city, whose origin and age is still unknown today. 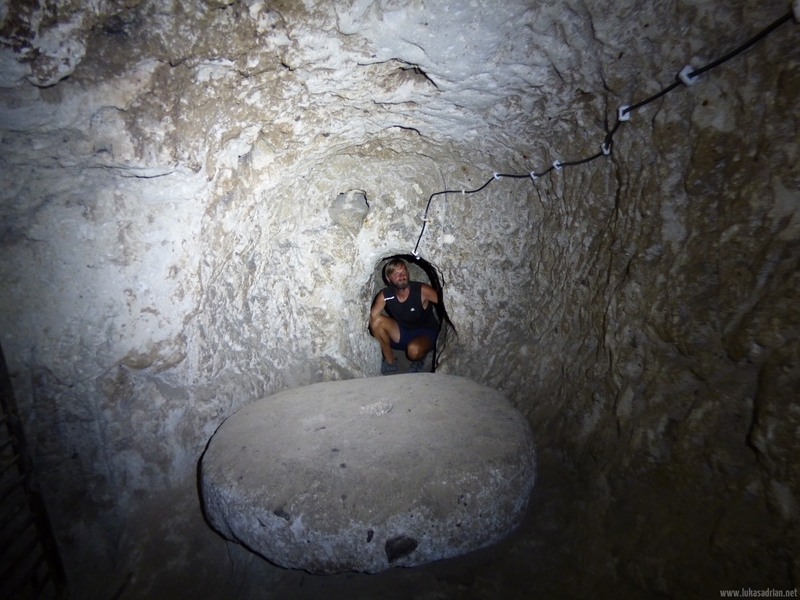 It is a labyrinth that stretches over kilometres and not everything is accessible to this day. Schools, churches, apartments, stables, everything was down there. The entrance fee was 35 TL. 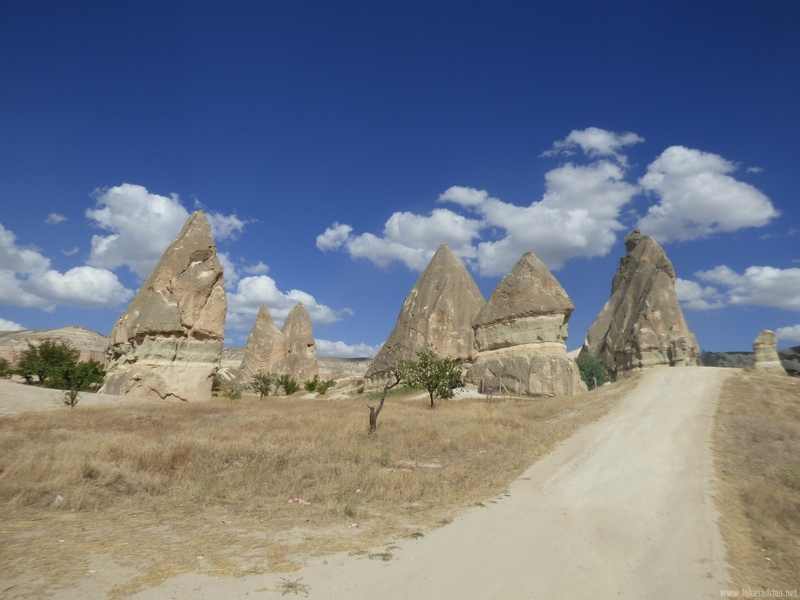 We continued to Gözleme, a small town full of typical rock formations. 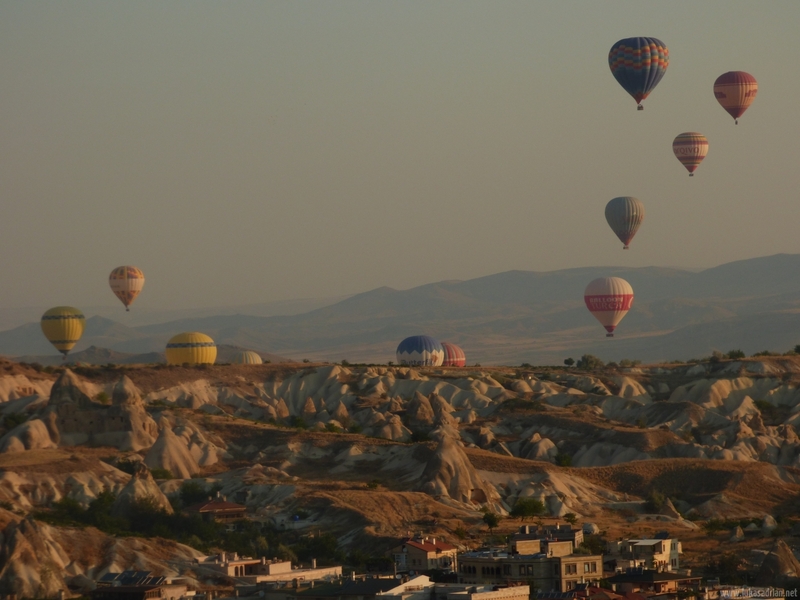 At sunrise many balloons start, so that the sky is full of points. All in one, WOW! In Ürgüp we spent 2 days at the couchsurfing host Bruno. But by chance he was overrun by guests, so we were guests 11 and 12. Nevertheless, thank you Bruno! Of course we didn’t sit around, we walked about 20 to 30 km, where you could discover something again and again. Again and again entrances into the rocks or a church, where all faces have been erased, etc. 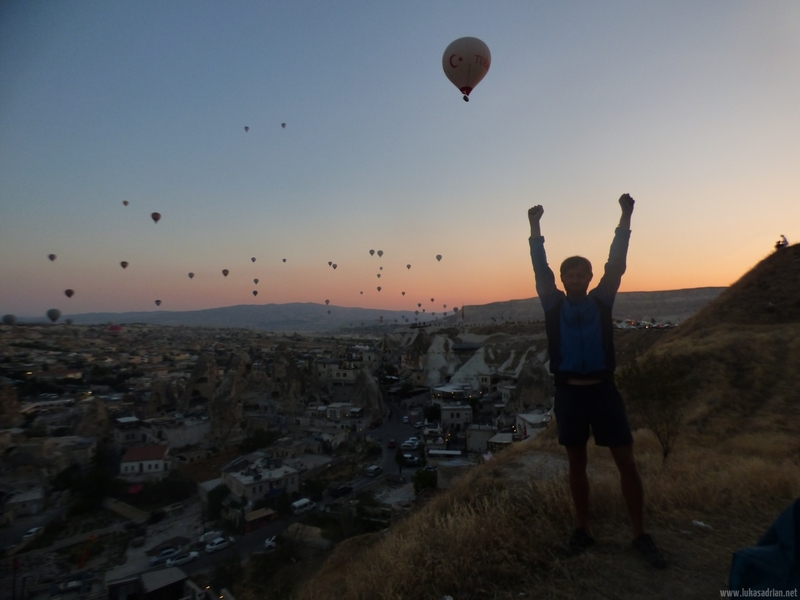 I don’t want to put countless photos here now, Capadocia is something for itself, duty for every traveler! We were full of dirt and dust after the hike and of course from the bike tour. The best after that is of course a Turkish bath (Hamam), which you can get in Ürgüp for ONLY 45 TL. This includes a sauna, peeling and massage. In clean clothes we went back to Bruno with a grin. I had my Dynamo cable completely changed by the car electrician and now everything works perfectly. I got power to my smartphone again! This thing is important for communicating with other people. Rarely, but sometimes the parts are useful. 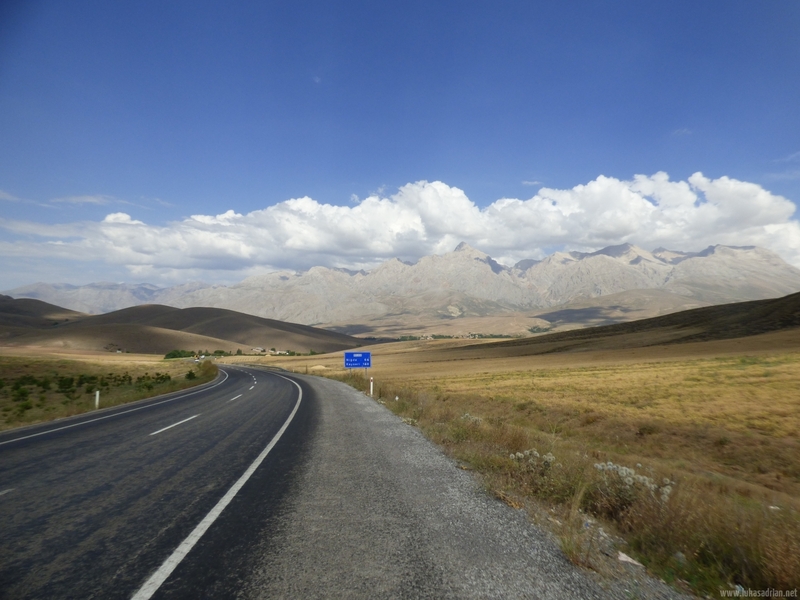 We drove on over a steppe-like landscape, where there were probably fields in former times. It was huge and very even, no huckle, nothing. I found it fascinating. But I have to admit that I find everything new great and fascinating. 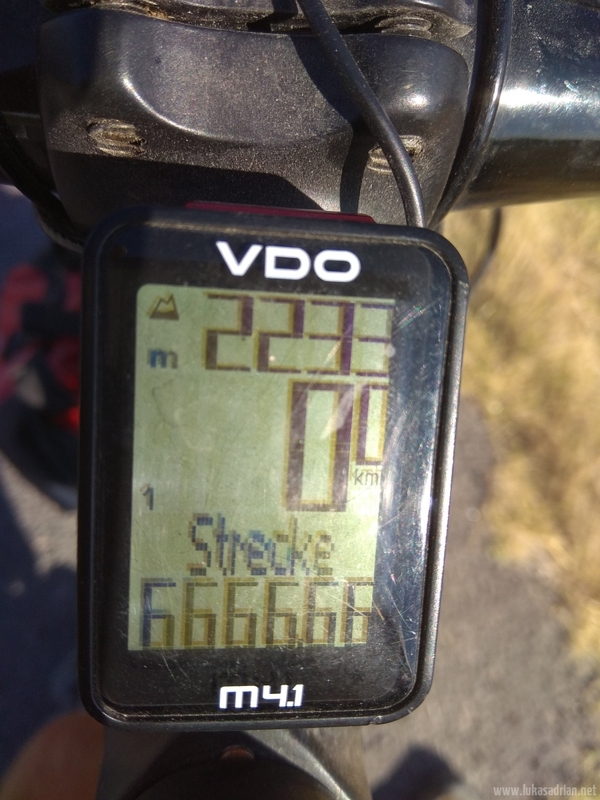 Exactly after 6666, 66 km I stood, well, in the middle of the country road. Anyway, after I had missed all possible mileage before, I got it this time. 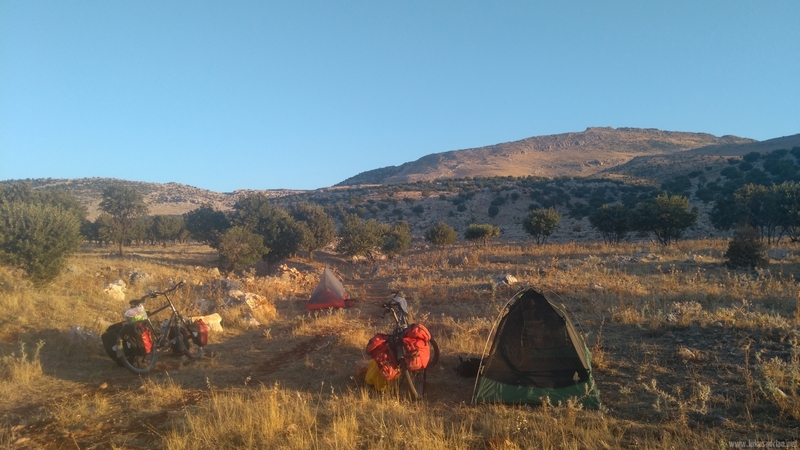 After we had asked someone on a field in the evening if we could camp here, we sat 30 min. later with fresh vegetables and dinner with someone. In the morning we had breakfast together. The warmth, I know I repeat, but I don’t care. I got up to almost 2,000 meters without knee pain. Slowly it gets better, but only slowly. I still have to be careful. Well, only 600 meters in altitude, but at least. Thanks to Malka Polsza in Bulgaria, I have rediscovered the Schopska and cannot resist. 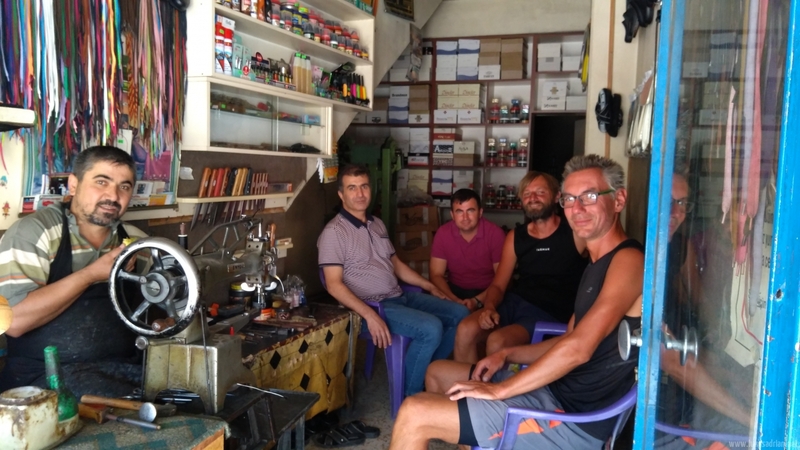 In Göksun we wanted to go for a meal and were called directly on Çay and fruit to a shoemaker’s workshop. Some of us were sitting in this little room with seven people. We went around the corner, where we saw a Lokanta, a restaurant. 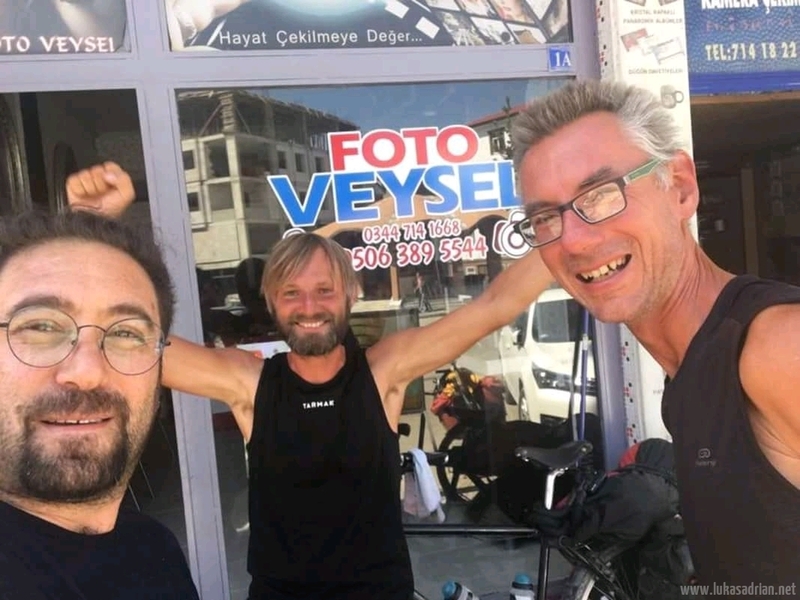 Directly we were called by some guys in their photo shop “Foto Veysel”, of course on a Çay and afterwards also invited to dinner. 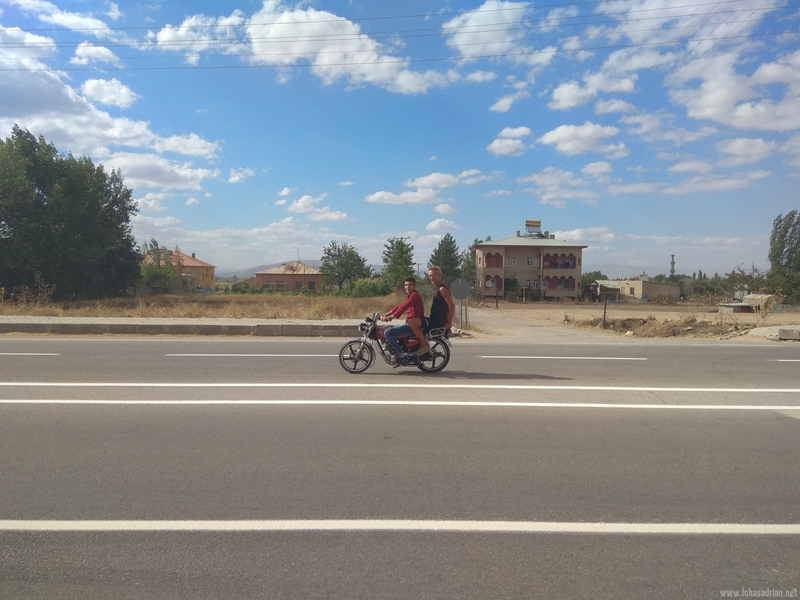 We mostly drove on small country roads and wanted to drive via Numhak to Adiyaman. But on the way some told us not to go there at all, there would be shooting, the road was life-threatening etc.. Of course we drove a detour via Elbistan in total uncertainty. In Elbistan we were of course approached again and again, I was even photographed while eating etc..
Unbelievable, people even turn to you, greet you often, invite you, want to talk. Back in the mountains, we went for breakfast in a village. Around 80% of older people there speak German. Like so many older people, they worked in mining. You said there was nothing going on at Nurhak. There is the conflict between Turks and Kurds. A few years ago, some terrorists were arrested there or something. Such conflicts are a pity. 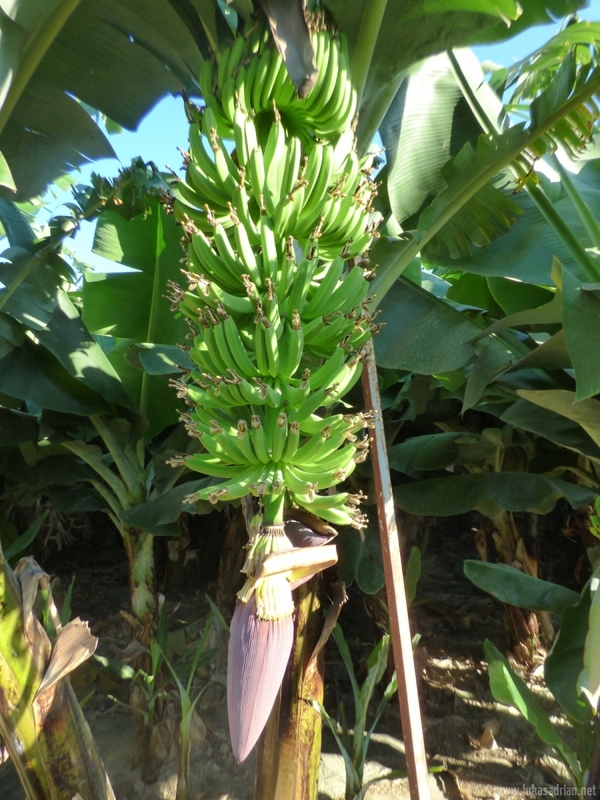 More tobacco will be grown as the year progresses. So we took it upon ourselves to smoke a cigarette of fresh, clean tobacco. As a non-smoker your head turns directly, which was amusing for the people. 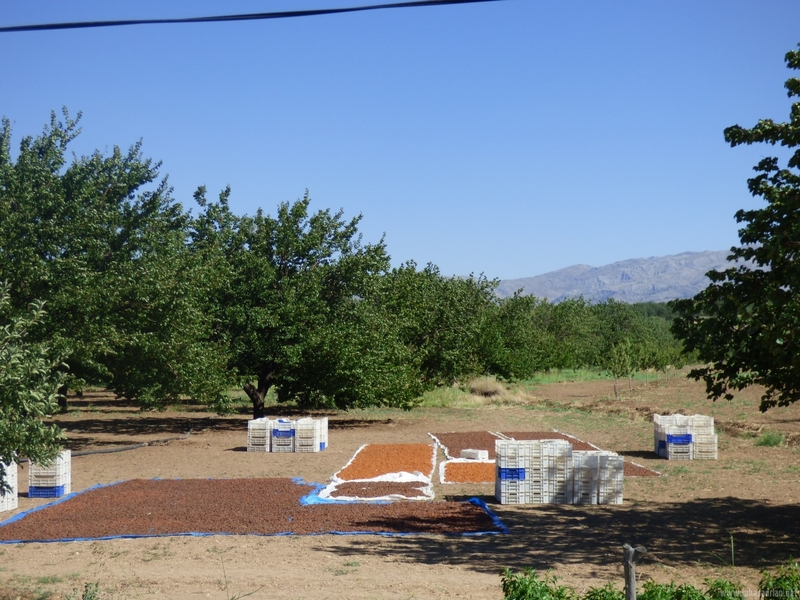 We had Çay and fresh apples. 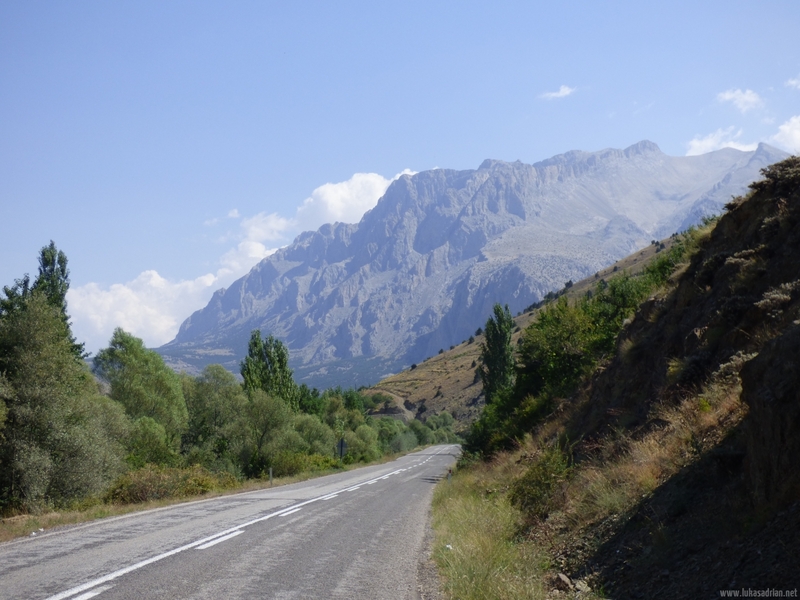 The side roads on which we drove again offered sensational views of valleys. 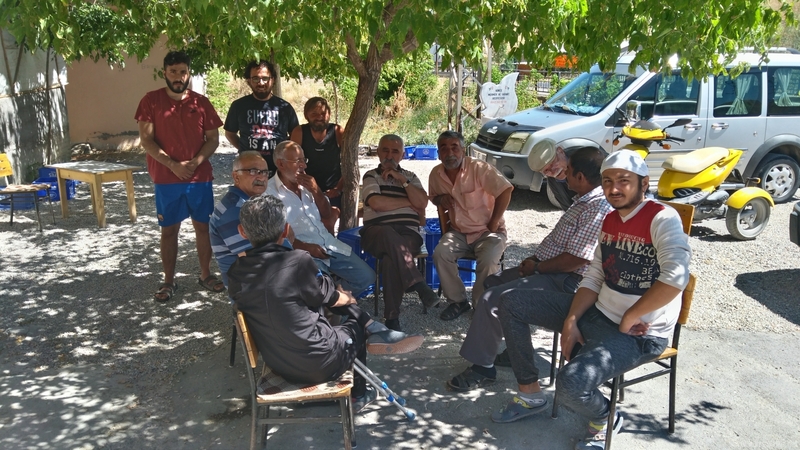 When we filled our bottles at a water well, three people, two soldiers with guns, invited us to Çay. In no-man’s-land, almost. One went out and got a thermos flask of tea from the village. Later, more soldiers came with apples. 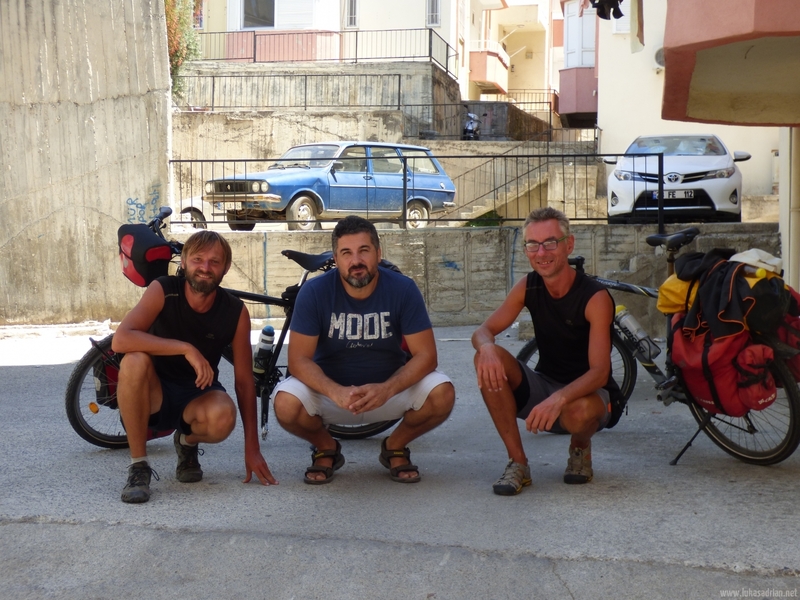 The break really did us good, as we had climbed over 2000 m in the last 1 1\2 days and our strength slowly weakened. 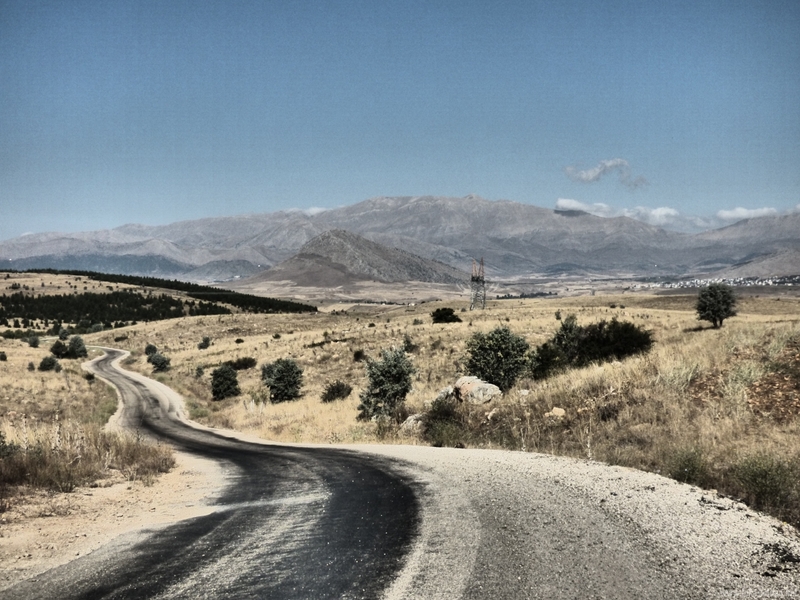 Our destination was Mount Nemrut. 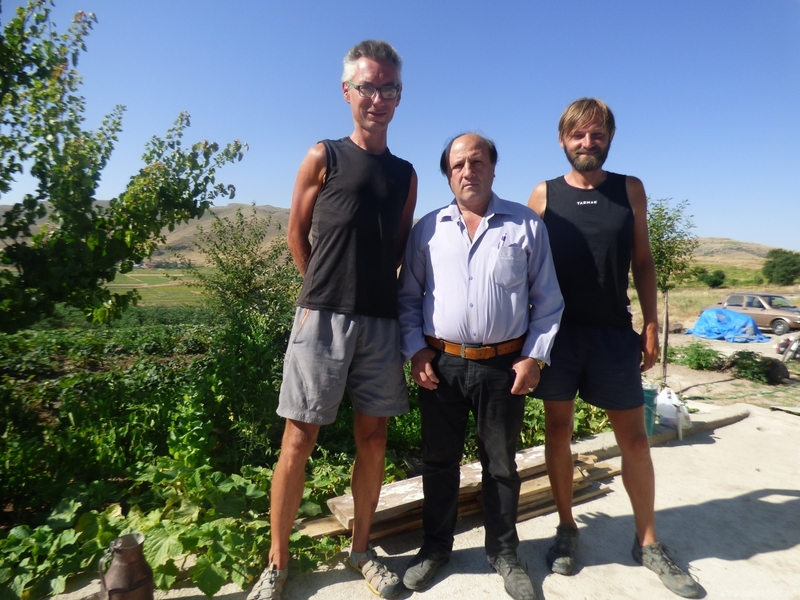 Afterwards we wanted to go to Adiyaman to pick up a package from Michael. 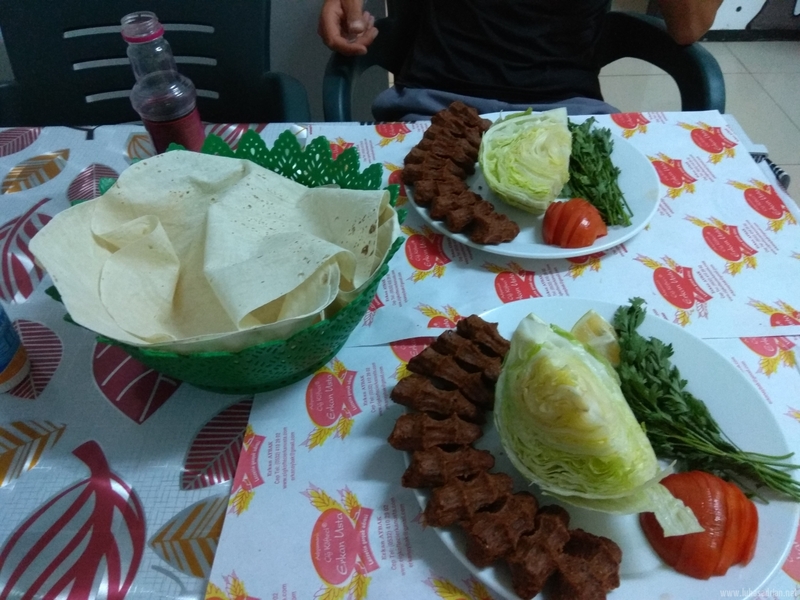 In one village we ate one portion of Çiğ Köfte for 6 tsp each. So cheap it really hurts. Fills you up and is healthy. The Turkish Lira was currently at 7.50 TL for one Euro. 2 months ago it was at 5.30 TL per Euro. The meal costs less than 1 EUR. We always tip, of course. Nearly in the dark we pitched our tents. In the morning both Michael’s tent and my tent had small holes. Of course, my hole was at the entrance of an anthill 😀 I could take all my friends out of the tent alive in the morning. We changed our plan because Michael’s package arrived and there were small problems because of customs. 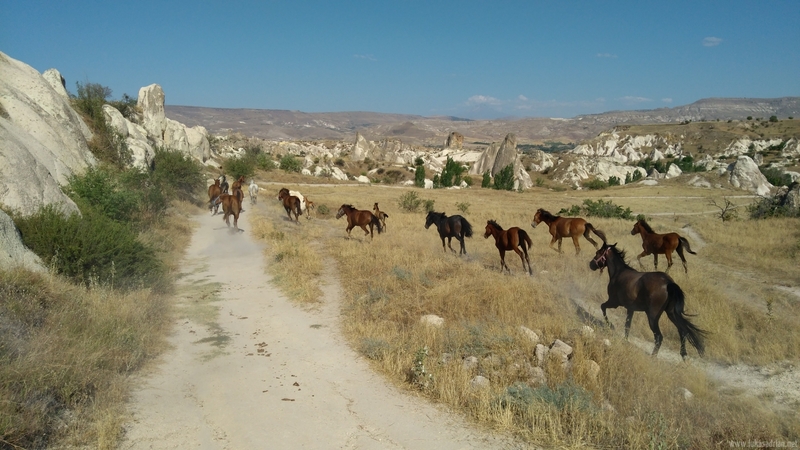 So we drove directly to Adiyaman, which is about 30 km away. 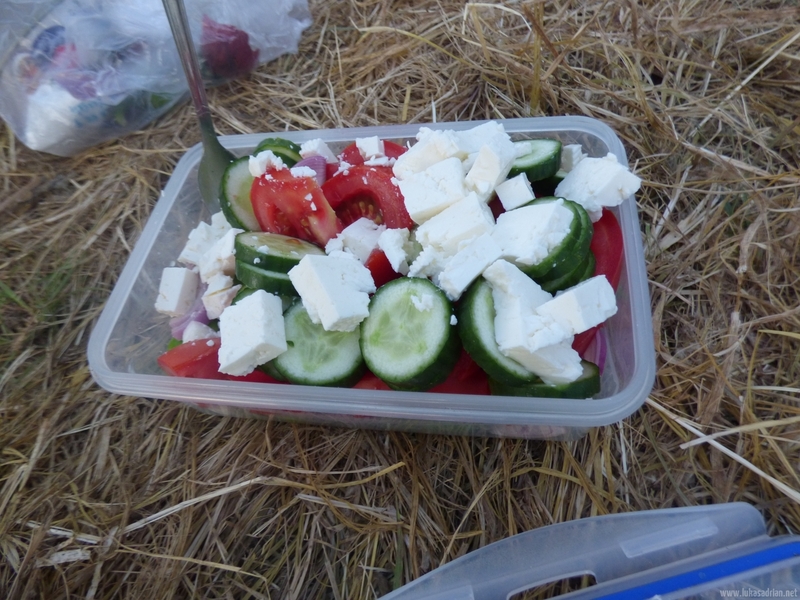 On the way we were given some cucumbers, at a gas station Çay, melons and cucumbers from the field. 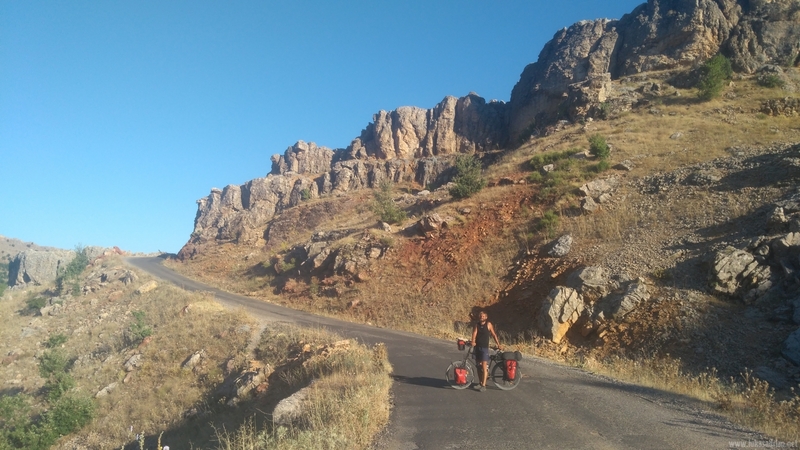 The way to Adiyaman went rather downhill, so that we were there quickly until the gas station break. The path went through a kind of forest of small trees and angular stones. Since the asphalt was not good, it did not go down quickly, of course. I guess I won’t be able to break my record of 72 km/h either. 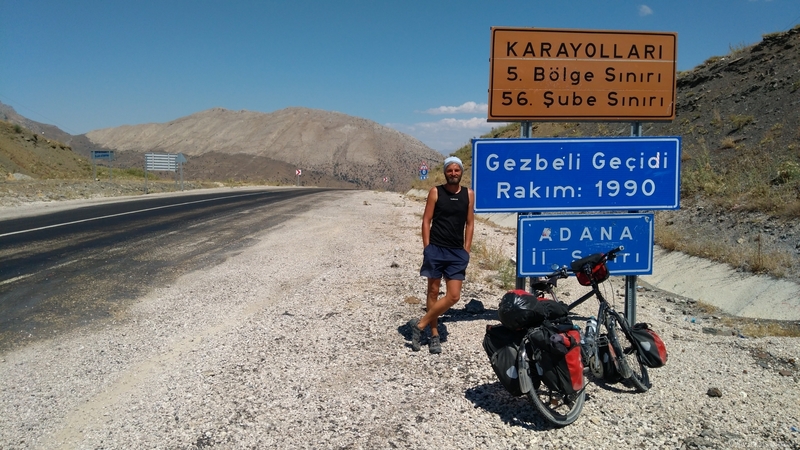 In Adiyaman we looked for a hotel in the centre that was very cheap and stayed here for 2 days until we had finished our things. …..ach, sitzen hier in Lviv in der Gastwohnung und lesen deinen Bericht. Ja, Kapadokien haben wir auch schon intensiv erlebt 1988. Damals haben wir privat gewohnt und eine Führung in einem Berg bekommen der nicht öffentlich war. 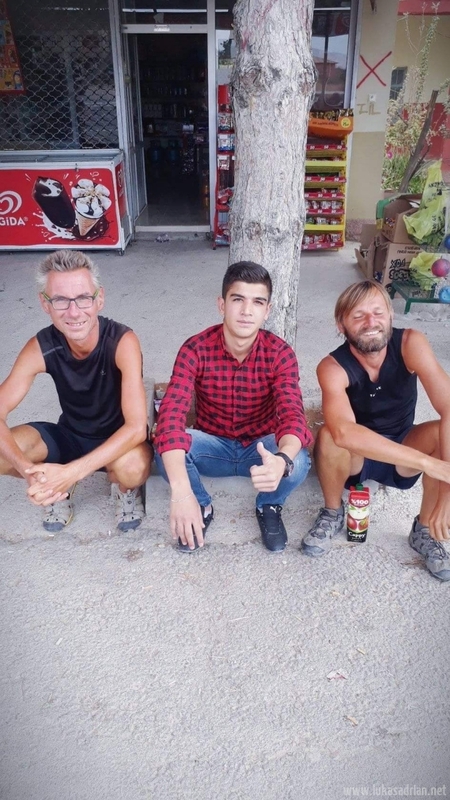 Touristenstädte habe ich immer vermieden,war nur einmal in Antalya und das hat gereicht. Gehen gleich ukrainisch essen mit einer Volontärin vom Woodstock die in Lviv lebt. Sie darf dolmetschen und wir haben sie eingeladen. Bin von Lviv total begeistert….so viel Leben und so viele kleine Gassen. Überall entdeckt man neues. 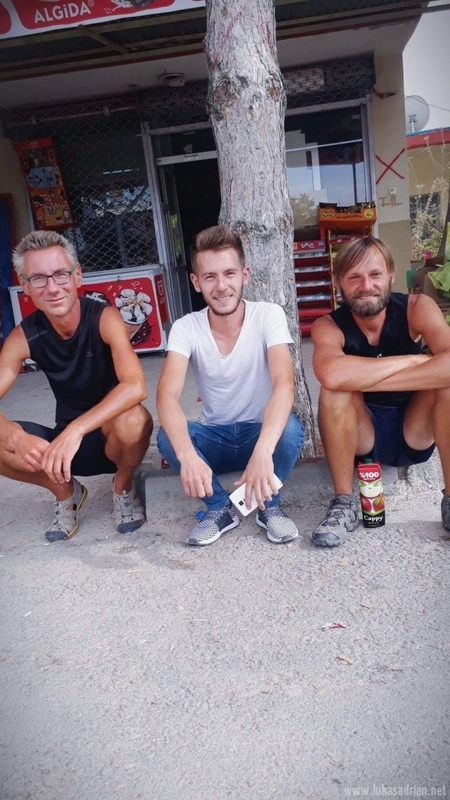 Euch beiden weiterhin alles Gute auf der Tour und bleibt fit! Hallo Renke, an manchen Orten wünschte ich mir auch Zeitreise. Dennoch haben wir Capadocia auf unsere preiswerte Weise überstanden. 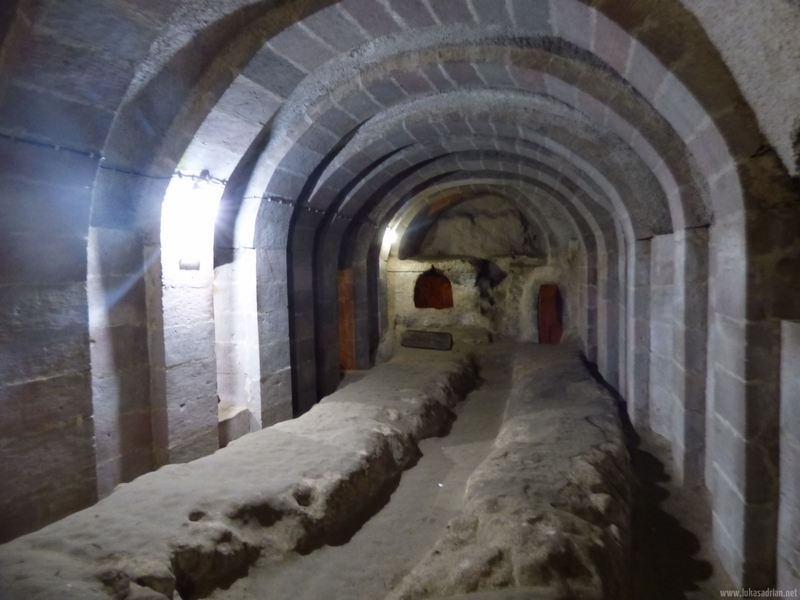 Nun sind wir in Diyarbakır und bin von der Altstadt begeistert. Euch wünsche ich einen tollen Lviv – Aufenthalt und grüßt die Mädels von mir! Wie ich immer wieder bei deiner Route festellen muß, ist das Du Gebirge ungern umfährst. Hallo Rüdi, ungern da meine Knie weh Taten. Dennoch haben die Berge unglaublich tolle Ausblicke und bin immer sehr glücklich das sehen zu dürfen. Aber mit den Knien wird es langsam besser. Waren gestern aus 2500m, WOW! Muss halt aufpassen.